Explanation: The ongoing Perseid Meteor Shower should be at its strongest tonight and tomorrow night. Although meteors should be visible all night long, the best time to watch will be between 2:00 AM and dawn each night. 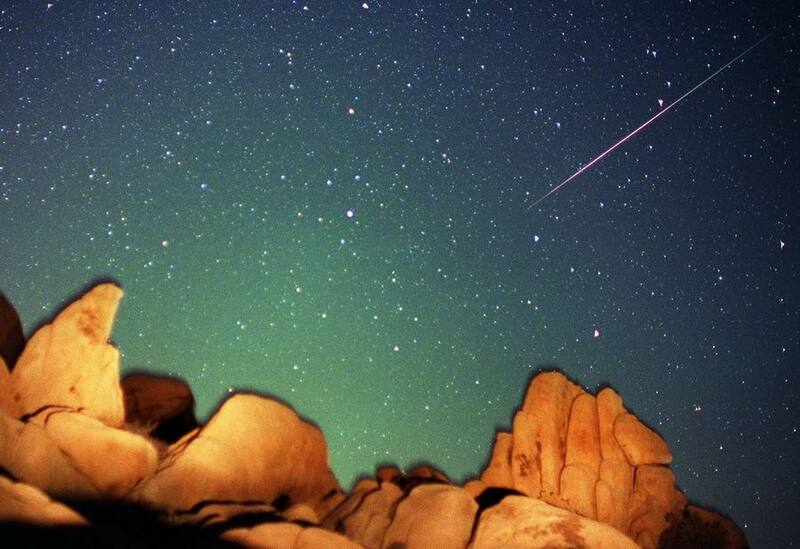 In dark, moonless, predawn skies you may see dozens of meteors per hour. Sky enthusiasts in Europe and Asia might see an unusual burst of meteors near 2100 hours UT. Grains of cosmic sand and gravel shed from Comet Swift-Tuttle will streak across the sky as they vaporize during entry into Earth's atmosphere. 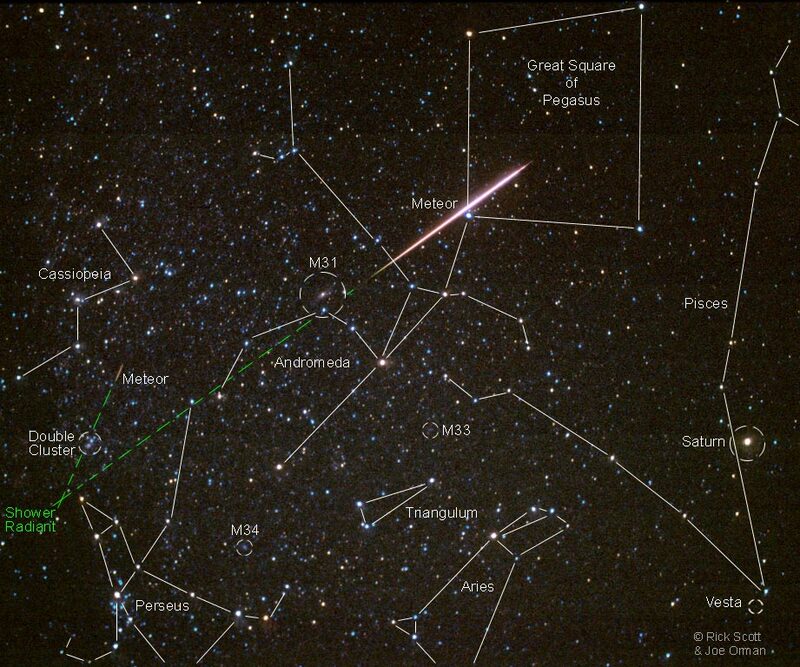 Tracing the meteor trails backwards, experienced skygazers will find they converge on the constellation Perseus, thus this annual meteor shower's name. 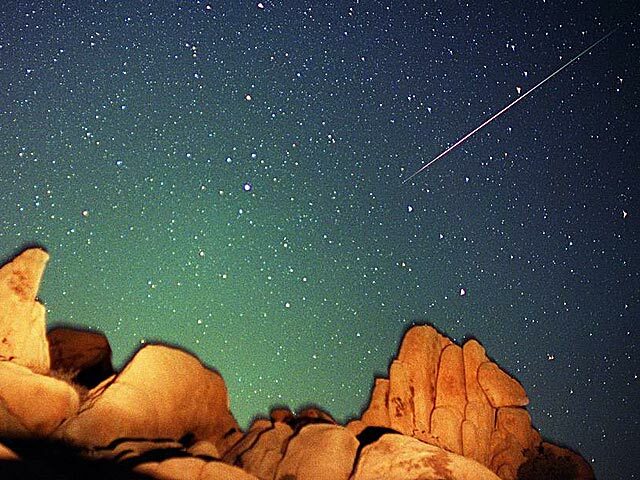 Pictured above is a Perseid meteor from 2002 over a rock formation in the US Southwest desert. Shadowing and blurring are caused by the long 10-minute exposure. The brightest Perseids can be seen from anywhere on Earth by monitoring the continuously returning images from the Night Sky Live cameras.